Inuit are telling us their climate change stories in their mother tongue - the Inuktitut language. 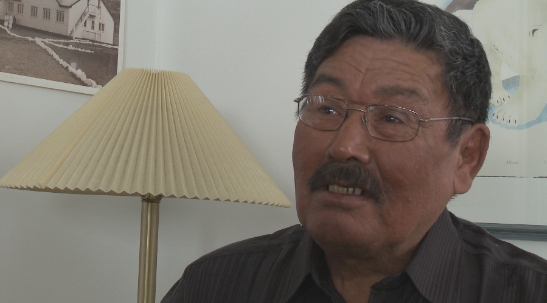 It's important that the elders and hunters are speaking in their own language, given that their teachings are both holistic and detailed, and are best communicated in Inuktitut. 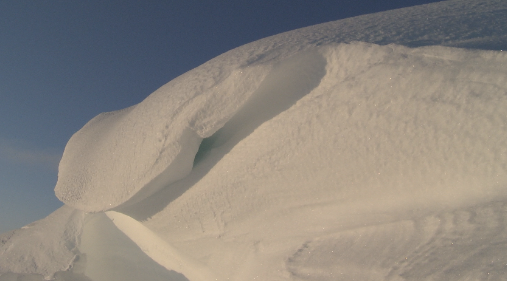 Today's story is about uqalurait: the snow drifts shaped like a tongue (see blog photo). Consistently, across all the communities we have engaged with, Inuit have told us that uqalurait have changed. These tongue-shaped drifts are formed at the first snowfall by the north wind, which for as long as Inuit can remember, has been the dominant wind that brings the cold. Importantly, they are necessary directional markers on the land, which allow Inuit to navigate properly while traveling by either dogteam or skidoo in the day or night. Traditionally, the tip of the uqalurait have pointed northwards, and acted almost like a compass needle providing a directional point of reference. Inuit knew that if they traveled with uqalurait, they'd be moving on a north-south axis, and by crossing them, this would lead along an east-west axis. This remarkable knowledge of the land ensured safe travel for thousands of years across this vast and cold territory. However, the direction of uqalurait has shifted, and are now being formed by the south wind. The south wind is now stronger and is bringing warmer weather from the south. Amazingly, Inuit have adapted their orienteering on the land using uqalurait, and are approaching them at different angles to compensate for the changes, ensuring that they still travel safely in winter. 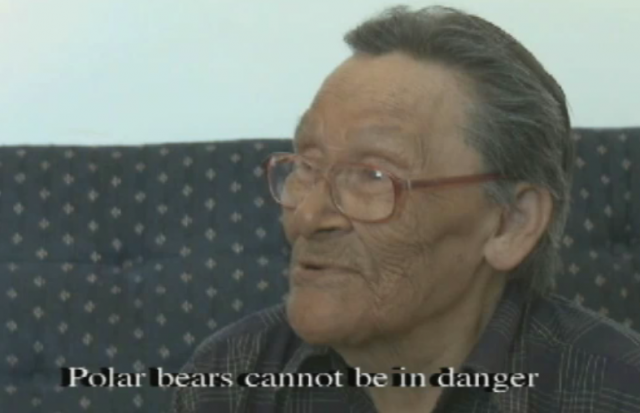 This is another perfect example of the adaptability, ingenuity and robustness of Inuit knowledge. 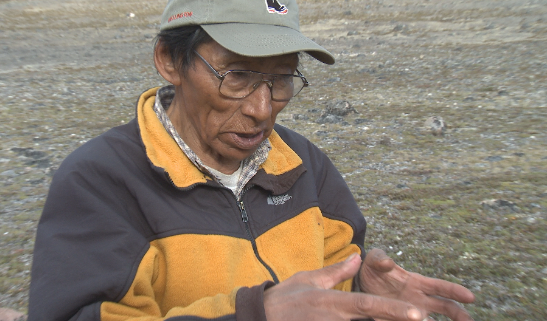 In today's video post, Abraham Ullijuruluk, an Igloolik elder, describes that uqalurait are changing because the earth itself has "tilted" and has thrown off the consistent wind patterns of the past. The earth tilting on its axis is another re-occuring observation that we are hearing from Inuit, which they know because of how the sun, moon and stars have changed in the sky. Indeed, elders simultaneously know the complexities of the cosmos, land, wind and sky, and in Inuktitut, are able to communicate it effortlessly and without doubt. Both Inuit and the snow itself are speaking, using their mother tongues to express the profound changes that are taking place in the north. 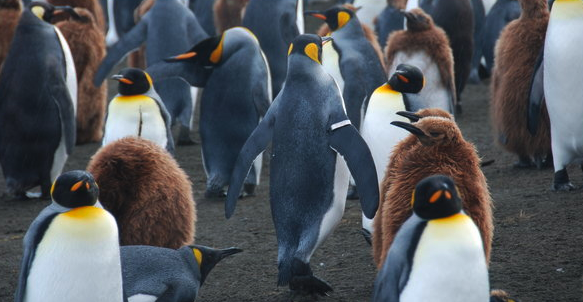 The message is clear: the predictable nature of nature is changing; and, if we hope to survive, we must adapt. We hope that, wherever you are, you hear this message, internalize it, and seek to live sustainably in and learn to adapt to this changing world we all call home. IKCC is going to be screening at Denver's Indigenous Film Festival on October 16. It will be the closing night film. The festival organizers contacted me a couple of days ago and asked if I could be available for a PBS special about the film and larger festival. The festival is co-presented by the Journalists for Human Rights and the Canadian Museum of Human Rights. 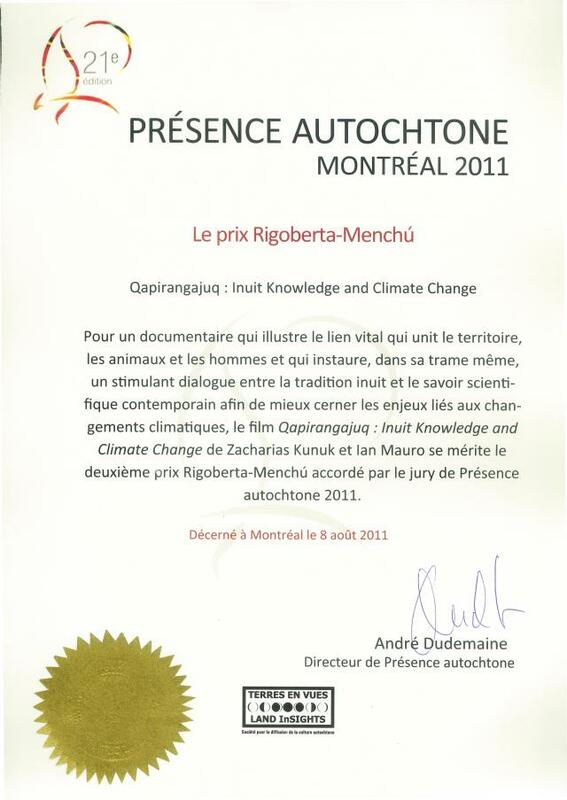 This award speaks to the value of community knowledge and it's really a prize for the participants in the documentary. We thank them for their generosity and insights. 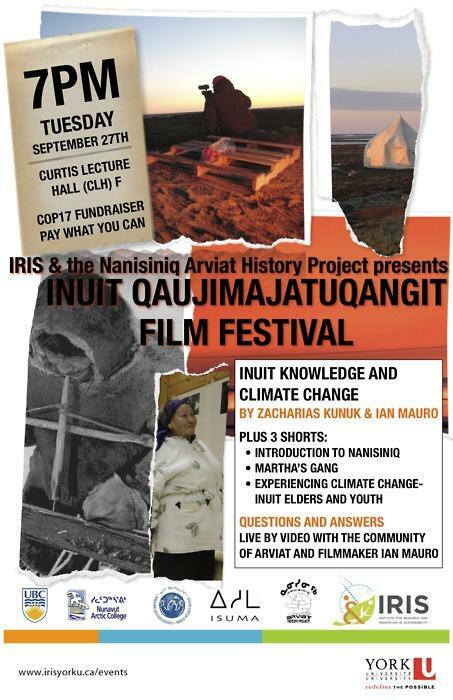 Tonight IKCC was screened in an Inuit Qaujimajatuqangit Film Festival that was held simultaneously in Arviat, Nunavut, and in Toronto at York University. 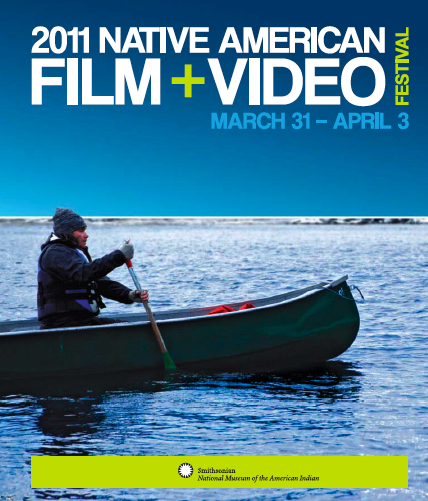 Tonight, Inuit Knowledge and Climate Change will have its New York Premiere, opening the Smithsonian Institution's Native American Film and Video Festival. If you've seen Inuit Knowledge and Climate Change, you'll know that Elders in Nunavut believe that the handling and tagging of animals, specifically polar bears and whales, causes adverse health and behaviour issues. Last night, in Ottawa, Zacharias Kunuk and I presented Inuit Knowledge and Climate Change at ArcticNet, Canada's largest northern research meetings. The screening was well attended, with some 400 people present, and we had a fantastic Q and A afterwards. 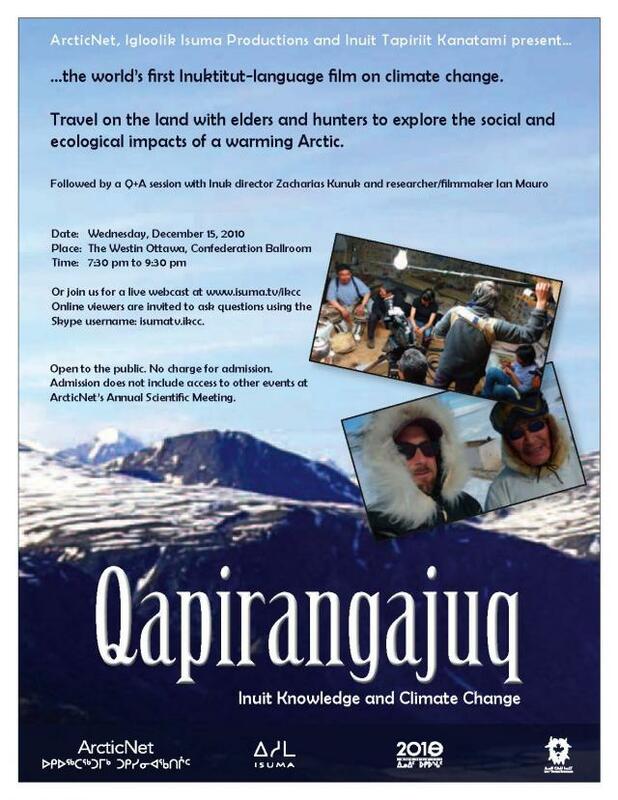 We had questions from Inuit, scientists and students as well as a skype-in call from London, England. "The tilting of the earth changes everything"
Check out this amazing silent film called "Speaking out on climate change". 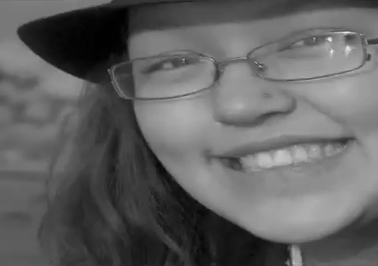 In the tradition of Buster Keaton-style black and white slapstick comedy, this piece by Pangnirtung's Julie Alivaktuk brilliantly pokes fun at the very serious issue of climate change and how it affects Arctic ecosystems and Inuit people. Join our "live editing sessions"
Interact with filmmakers Zacharias Kunuk and Ian Mauro during live weekly webcasts from Igloolik every Thursday from 8-10 pm starting November 19. 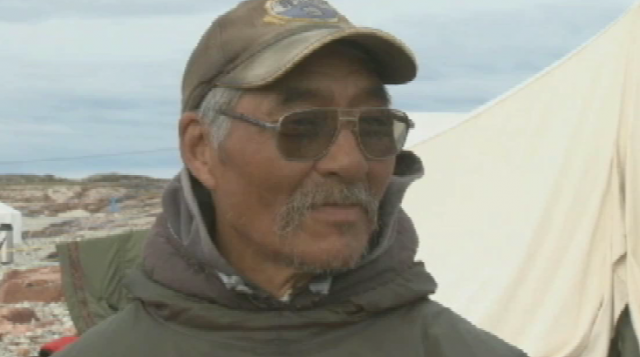 We've been hearing from Inuit about the Arctic getting warmer. 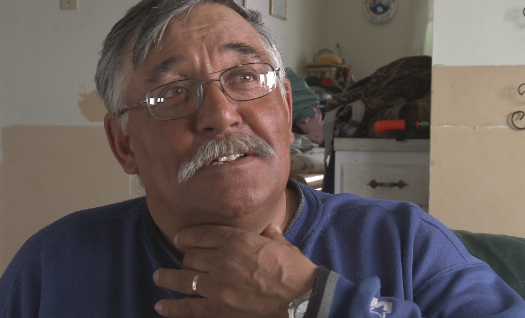 Today's post includes a video upload featuring Alukie Metuq from Pangnirtung. In it, Alukie talks about the intense heat of the past year. No doubt, Pangnirtung is a climate change "hotspot" in the Arctic and has had to deal with a number of related "natural disasters". Zach and I have been editing like madmen. 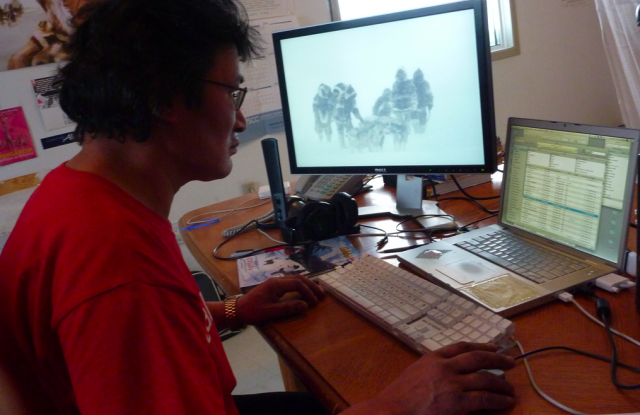 It's quite a process: surfing the footage, finding the pithy quotes, and translating them from Inuktitut to Qallunaatitut. We often have to debate the specific nuances of what is being said to ensure that we communicate concepts properly in English. It's fascinating to work across cultural worlds in this way. This past weekend, in the middle of a blizzard, Zacharias and I went to his cabin on one of the nearby bays on this island. 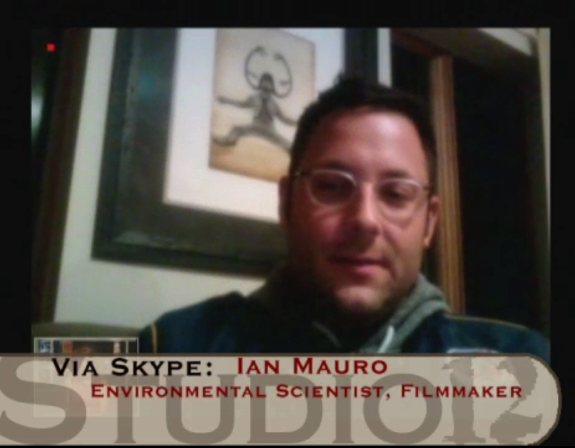 We hung out and talked about the Inuit knowledge and climate change research film we are making. When we left, I walked outside ready to hop on the skidoo, and I was blown away by the night sky.